Boots boots boots... I absolutely love them! I feel like boots are the best thing about fall / winter, don't you agree? I love them in all types and shapes... flat boots, heeled boots, ankle boots, pointed toe boots, suede leather, classic leather or just crazy prints. 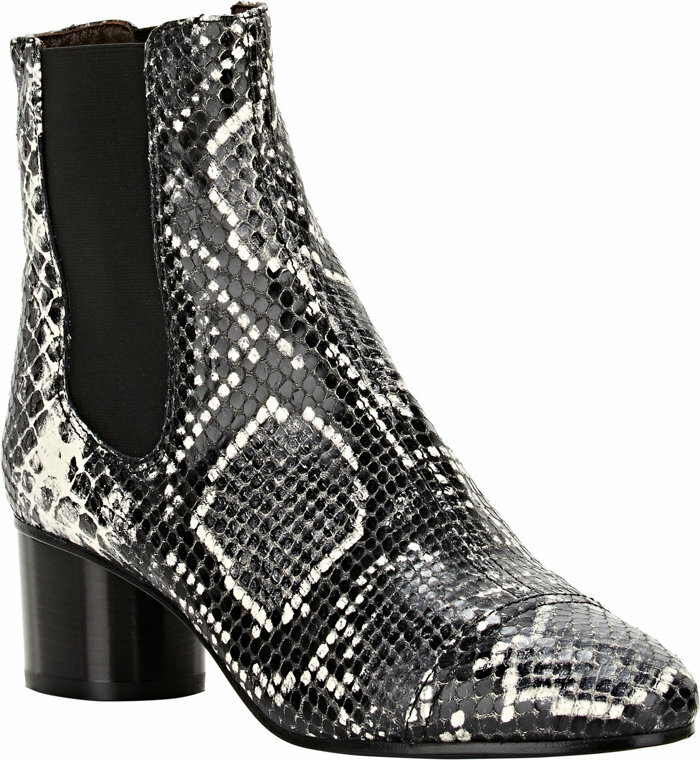 Thats kind of what I went for when getting those Isabel Marant lookalike snake/python print boots, as I wanted to add something more special to my wardrobe (mine are of course not real snakeskin). I love how classy and cool they look and especially how they spice up a simple outfit. You could wear the simplest t-shirt and pair of jeans and still look elegant and classy with a good pair of boots like these. Plus, they are definitely an eye - catcher! The boots I'm wearing have a bit of a heel, but not too much, as I don't really like walking around in high heeled-boots for hours. Especially not when it's REALLY cold outside and I just want to get from A to B as quick as possible! These have the perfect size though. Die Boots die ich trage haben einen kleinen Absatz, aber nicht zu hoch, da ich nichts mehr hasse als stundenlang in hohen Schuhen rumzulaufen. Vor allem, wenn es arschkalt draußen ist und ich am liebsten nur schnell von A nach B will! Da passt der Absatz hier genau richtig.